When Cornell University opened in October 1868, the library was housed in Morrill Hall, the first university building. Andrew Dickson White appointed Daniel Willard Fiske, his boyhood friend, to be the first Librarian of Cornell University. A linguist and passionate bibliophile, Fiske was an ideal candidate for the position. He had previously served as assistant librarian at the Astor Library (now part of the New York Public Library) in New York. In 1872, Cornell’s library of 15,400 volumes moved to the newly built McGraw Hall. Fiske based the new library on the European model, as a non-circulating reference library. Cornell may have been the first American university library intended for extensive use by undergraduates as well as faculty. At a time when most libraries were open only a few hours a day, the Cornell Library was open nine hours a day, longer than any other library in the country. Together, White and Fiske continued to acquire major scholarly collections, including the Franz Bopp philological library, the library of Goldwin Smith, the Kelly Collection on the history of mathematics, and the Samuel May Antislavery collection. In 1872, Fiske acquired the Jared Sparks collection in American history and the 13,000 volume Zarncke library of German literature. These diverse acquisitions provided the nucleus for many of Cornell's most distinguished collections. Willard Fiske also joined the faculty of the newly established Cornell University as Professor of North European Languages. He gave instruction in German, Swedish, and Icelandic, and even offered a class in Persian. Having served as a professional journalist, Fiske also supervised Cornell’s publications and provided news of the university to newspapers. He directed the Cornell University Press, the first university press in America. He also befriended and assisted many students, particularly the members of the Psi Upsilon chapter that he helped to found at Cornell. 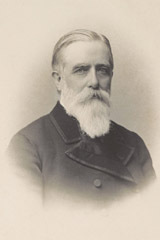 Daniel Willard Fiske resigned his post as Cornell University Librarian in 1883. But he continued his interest in the library, giving his invaluable Icelandic, Dante, Petrarch, and Rhaeto-Romanic collections to Cornell.